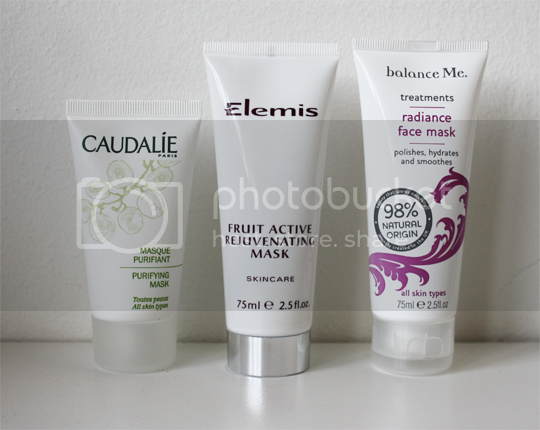 You’ve probably deduced by now that I’m a big fan of clay masks (check out my recent reviews for Clayspray and Amie‘s offerings!). Three more clay masks have been introduced to my rotation in the last 6-8 weeks and I think I’ve tried them all enough times now to pass some opinion. The first thing I noticed when I christened my tube of this was the delightful scent. It’s subtle, not overpowering but noticeably herbal and lavender-ish – love it already! I also noticed that it was very soft and easy to smooth over the face (I find that some masks, particularly those with a very high clay content can tug and drag at the skin as they’re applied) and that it didn’t dry and harden the way I was expecting it to. A quick glance at the ingredients explained that one – the first ingredient is water and the second is kaolin clay meaning there is a larger percentage of water in there compared to the kaolin. The Caudalie Purifying Mask* is designed to absorb excess sebum and keep shine at bay (come to mama!) so is primarily marketed at those with oily or combination skin. While I find it does achieve this in the immediate time after washing the mask off, the effect doesn’t seem to last all that long and there’s not a cumulative effect. Since its first outing, I’ve discovered that my favourite way to use it is actually as a targeted treatment on problem areas rather than as an all-over mask. If I feel a blemish coming on, I’ll smooth a touch of this over the offending area and leave it overnight (not one for night-time fidgets as you’ll smoosh it everywhere!) – washing it off in the morning reveals… nothing. In a good way! The sore ‘you’ve got a frigging massive great spot coming on’ feeling is gone, and the blemish never surfaces. Top marks on that front! 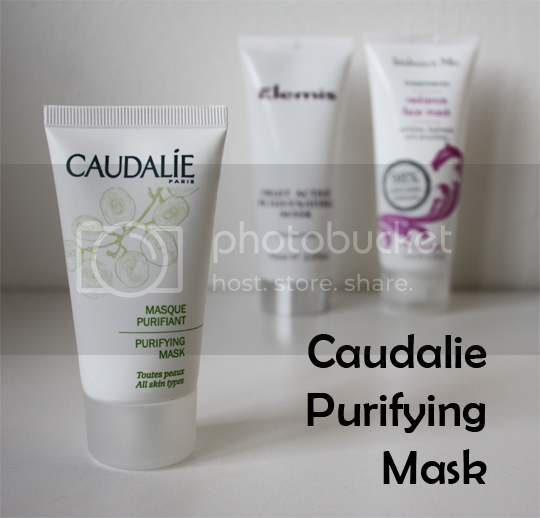 Caudalie Purifying Mask costs £21.50 for 50ml, although I have spotted it on Escentual for £17.20. If my skin is having a bit of a dry day, where everything is looking a little dull and lacklustre, this Elemis mask* is the one I crack out. 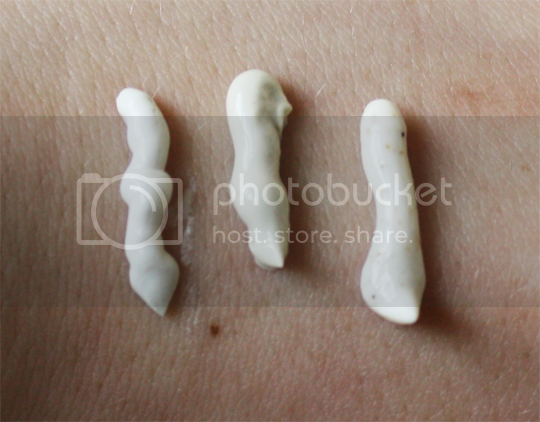 It’s kaolin clay quantity isn’t huge, but enough to get to work on deep-cleansing any impurities that may be lurking. Shea butter plays a big part in the moisturising properties of the mask, and it’s gorgeous fruity scent comes from real strawberry and kiwi extracts – no crap synthetic scents here! Again, like the Caudalie mask, the lower clay content means it doesn’t dry and harden as you wear it but it doesn’t need to – the kaolin does its job while you get to enjoy the smooth, creamy-feeling formula on your skin. A real treat, and never leaves the skin looking overprocessed either (don’t you hate that? When you’ve had a mask on and your face looks RED and blotchy afterwards? Nasty). 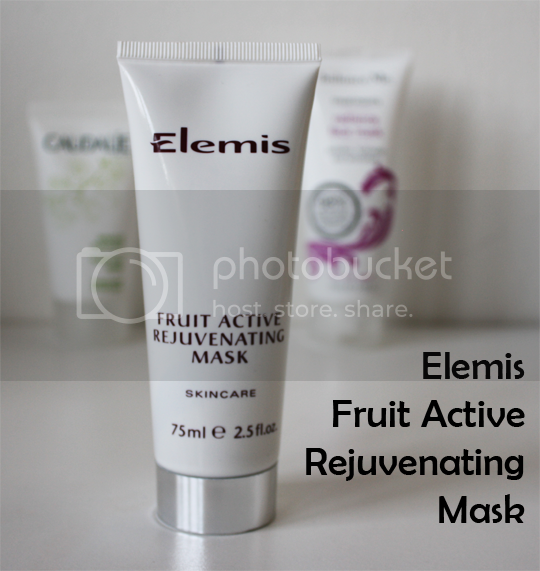 Elemis Fruit Active Rejuvenating Mask costs a not completely extortionate £28 for 75ml and the tube should last a long time as a little goes a long way with this product. You can pick it up here at Beauty Time Therapies. This one is really different from any other mask I own. It’s sort of a cleanser-treatment mask-exfoliator hybrid, and I love it! The gentle, beautifully herbal formula (think kaolin, fruit acid complex, rosemary, lavender, chamomile.. gorgeous) is studded with ground walnut shells which offer an effective but gentle sloughing. The Balance Me mask* should be applied to skin in circular motions, where the walnut shells will boost circulation and encourage cell renewal. The kaolin helps eliminate impurities and the fruit acid complex helps bring some radiance to the complexion. Once massaged in nicely, leave it to work for a few minutes before rinsing off. A good quick option for use in the morning or before heading out! So, in conclusion, I would recommend each of these masks for different reasons. I wouldn’t suggest you need all three of them in your life, but which one would work best for you is dependent on your main skin concerns. If you’re prone to spots, I’d say grab the Caudalie one every time. If you’re on the drier side, Elemis is the one for you and Balance Me is the perfect all-rounder, especially if you want to introduce a bit of a glow to dull skin thanks to the ground walnut shells. I’m afraid my mask obsession definitely isn’t over yet. I still can’t get enough! What other masks should I add to my expanding collection? The mask sounds really good. 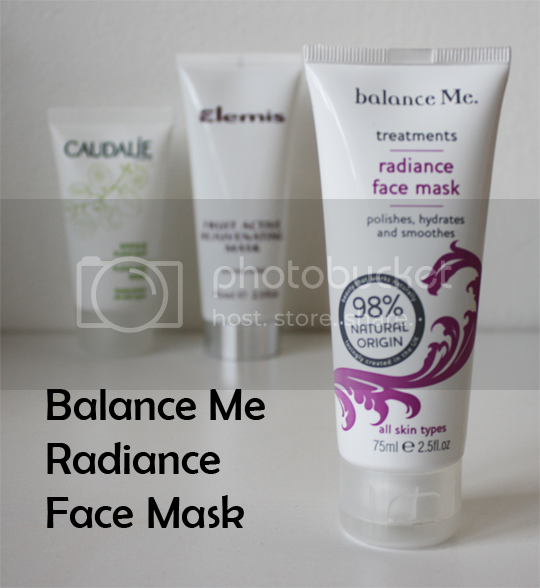 I have heard such great things about the balance me mask. Have you tried GLAMGLOW mud mask in the black jar? I’ve just started using this and it’s pricey but fab.